It’s always interesting to me what sparks your curiosity, eh? As during the summer of 2008 - while dining with “Snobyrd” M.J. and her longtime friend Joy, who was visiting “The Emerald City” from Phoenix, AZ, I was busy extolling the virtues of my No Fenders “BLOB.” (What ‘Aunty Harriet affectionately calls it!) Which in turn sparked the following conversation of Joy telling me about an ex-Chicago classmate’s father who was the sponsor of the Indy 500 winning Blue Crown Spark Plug Specials sixty-plus years ago. The very first Lencki chassis was being laid down by Joe Lencki of Chicago, as Lencki had commissioned Leo Goossen to design what Lencki considered to be the ultimate solution to capturing victory at the Brickyard. Interestingly, Lencki was also the inventor of some secret “Slippery Liquids” concoction known today as Z Max, for which you may have seen an ‘Ol Snake Oil salesman by the name of Carroll Shelby pitching to you via television. 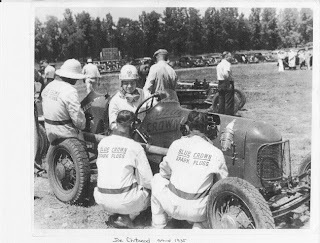 Lencki, a mechanic by trade, had begun racing Dirt Tracks in the mid-1920’s and after owning multiple Miller chassis, went to California to have Offenhauser produce an engine of his own specification. 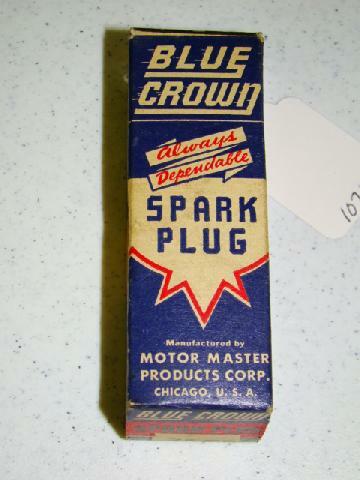 There, Goossen, chief draftsman and engine designer extraordinaire for Harry Miller, Offenhauser, Meyer & Drake and Drake Engineering, penned a 270cid, two valves per cylinder “Lump,” for what would become the first Lencki/Lencki to race at the Speedway in 1939. Speculation suggests that if you were so inclined to call the six, which looked extremely similar to an Offenhauser 270cid four cylinder, with the additional two cylinders in front of Lencki, you were likely to get slugged! 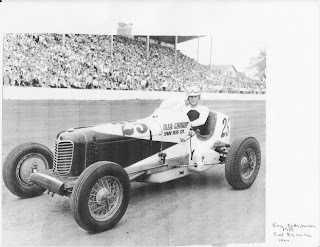 Thus, reportedly it was Lou Moore serving as chief mechanic for driver Floyd Roberts at the controls of Moore’s Burd Piston Ring Special, who captured the pole position for that year’s race. Roberts would go onto lead 92 laps enroute to his lone 500 victory whilst taking the chequered flag aboard a Wetteroth/Miller race car. The win would become the first of Moore’s five Indy 500 wins as a team owner and the first time the pole sitter had won the race since 1930. 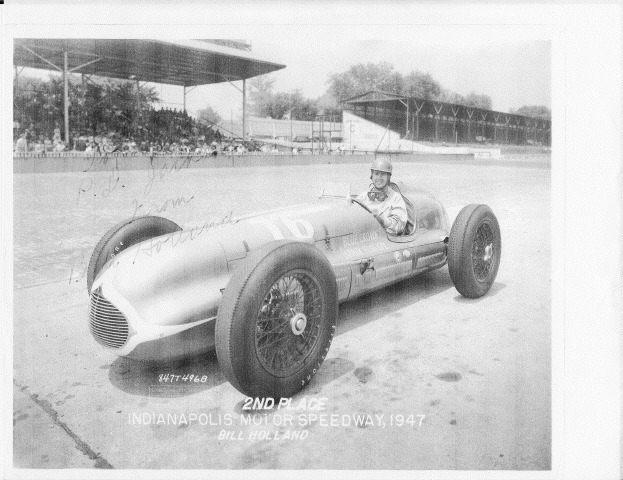 Floyd Roberts returned with Lou Moore aboard the previous year’s winning Burd Piston Ring Special, while for the 27th Indy 500, there were a total of four entries sponsored by Burd Piston Ring, with Frank Wearne in a second Wetteroth/Offy, along with Tony Gulotta in a Stevens/Offy, while Lencki entered his lone chassis for Tony Willman, the #51, which started 26th and finished 14th after retiring on lap 188 with a broken fuel pump. As in 1937, when rules revisions no longer made it mandatory for competitors to have a riding mechanic, another popular change was made, when qualifying was cut from ten laps to four, with Jimmy Snyder capturing the pole at 130.130mph, Louis Meyer in the middle of row one and Wilbur Shaw on the outside. This triumbrant would go on to lead the majority of the race, as Shaw in a Boyle-Maserati would win his second race in three years, while Meyer had spun out of contention for his record forth victory while chasing Shaw on lap 198. While the public pondered the possibility of the Indy 500 occurring that May, as ominous war clouds festering over Europe had led to the invasion of Poland on September 7, 1939 and war declared by Adolf Hitler... IMS track owner Eddie Rickenbacher decided to press on. Meanwhile, Joe Lencki had commissioned Offenhauser to produce a second six cylinder engine. While the original engine was of two valve design, (hemispherical combustion chamber) the new Lump sported four valve per cylinder construction, (pent-roof combustion chamber) measuring 260cid vs. the 2V’s 270 displacement. Lencki’s two entries lined-up for the 500 with drivers George Connor in 17th, while Floyd Davis nabbed the very last spot upon the grid; while Connor’s No. 10 Lencki (Lencki 4V) would finish 26th, having thrown a rod on lap 52. While Davis’s No. 61 Lencki (Lencki 2V) wound up 20th. (Ironically Davis would race for Lou Moore the following May). Pole sitter Rex Mays finished a disappointing second to race winner Wilbur Shaw, while the final “Podium” position of third place was captured by Mauri Rose aboard an Elgin Piston Pin racecar owned by Lou Moore, which past Indy 500 winner Floyd Roberts had helped Moore and Wetteroth construct over the winter of 1938.